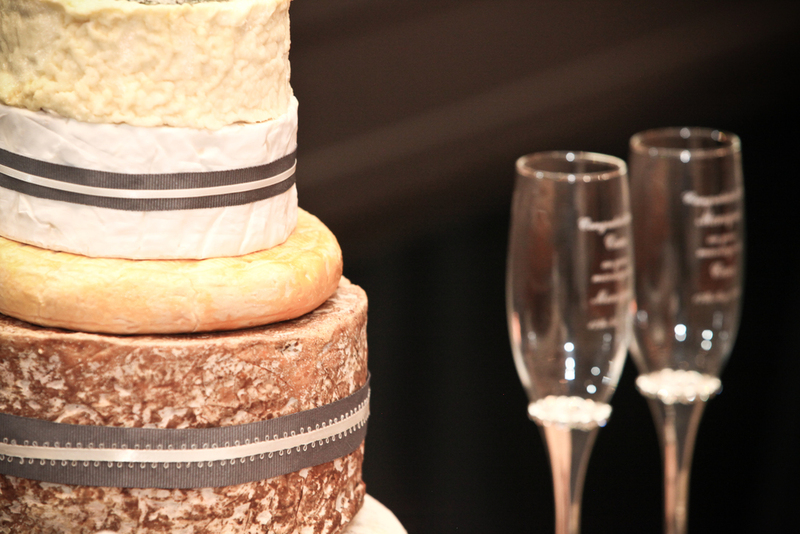 Sit down with a glass of wine and discover the possibilities of cheese wheel towers for your wedding or next event. Browse through our carefully selected towers and select the perfect one to suit your day. Purchase on line today and request delivery to your Melbourne venue. A modern wedding cake, fabulous gift, ultimate dinner party dessert or center piece at your next corporate function! Cheese Tasting - Tuesday 20th & Wednesday 21st November by appointment. Scroll to the bottom of the page to purchase your ticket! International and local whole cheese wheels of different sizes stacked on top of each other to create a tower of ultimate indulgence! Simply surround with your favourite biscuits, fresh breads, antipasto, quince paste and you will truly impress your guests. 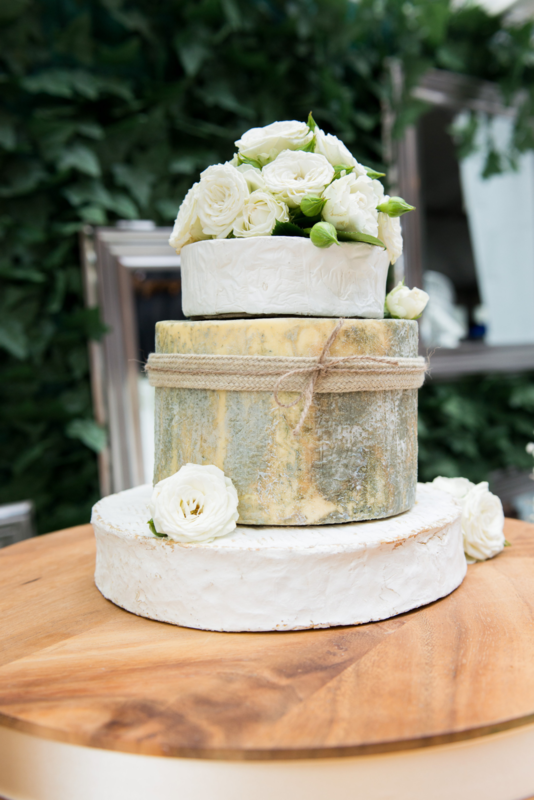 Cheese wheel towers are the most fashionable statement at weddings and celebrations in 2017, so be sure to consider this show stopper on your big day! 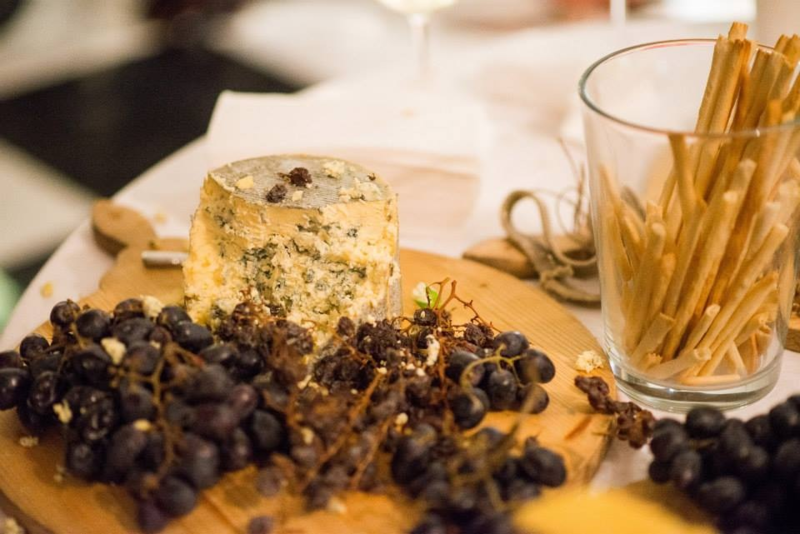 Spoil your guests with a dessert they won't forget or place a platter with a sample of each cheese on your guest's tables after the final course. Take the remaining cheese home and share with family and friends as you recall memories of the day before. 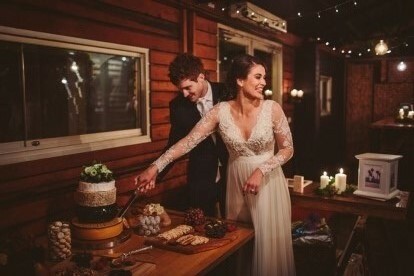 Having a get together with your guests the next day and already have your wedding cake planned? Why not have a small or medium tower to cater for the masses without running around on the day. 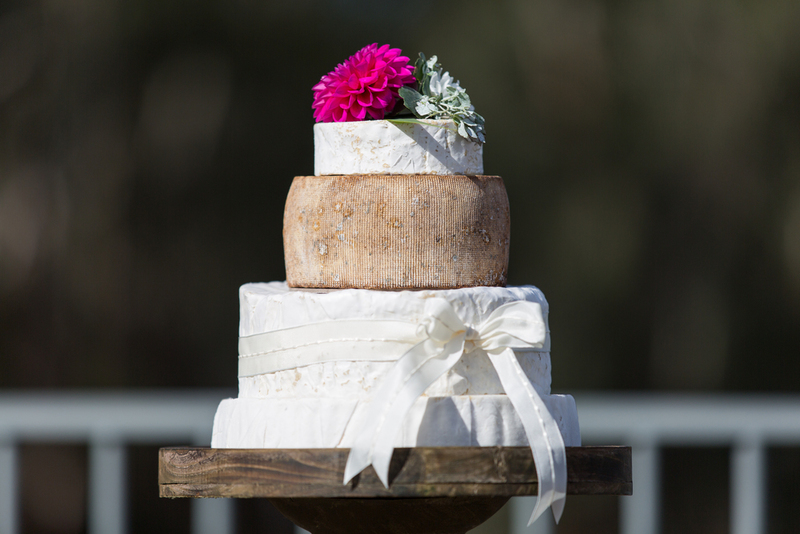 At Burnt Butter Cakes we have meticulously designed a number of different tower sizes and price points with a variety of cheese milks to suit every occasion. All items are boxed and ready for you to assemble with simple instructions provided. Or if you would prefer we can assemble at the venue for you at an additional price. Please find below a list of our carefully selected towers. 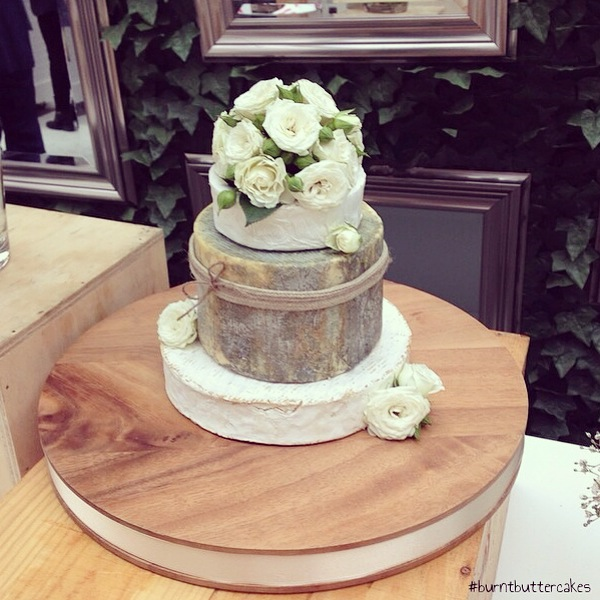 At this point in time due to the tricky nature of finding the right shaped cheeses we do not custom design. Instead we have done the hard work already and hope that one of the below designs will match your occasion. Please note we can of course supply additional cheeses that don't necessarily have to be placed within the "cake" on display. It's that simple! 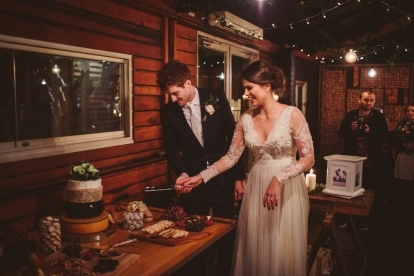 We strongly suggest labelling each cheese as your guests will be mesmerised! It is important to note cheese is seasonal. As a result we may need to substitute some cheeses at certain times of the year. Prices can also vary dependent on the season. Please click on the individual towers for further details including cheese wheel varieties and sizes. Cheese fluctuates on price depending on variety and quality, hence some towers will be more costly than others despite their size. We allow 60g of cheese per head which equates to approximately 4 biscuits of 15g. Dependent on your menu this is usually a good amount if dessert is not included. Remember also some guests will not enjoy any cheese and some more than their fair share! Delivery prices are dependent on the distance of the destination from our shop in Richmond. Please see our info page here for a guideline. Should you wish to add delivery to your order, please contact us to ensure the date/time is available. If you would like to sample some cheese please contact us via the below button. We offer tasting packs prior to and in the middle of the wedding season. (Usually in Aug/Sept and again in February.) Packs are $30 and include a range of our cheeses in our most popular towers.